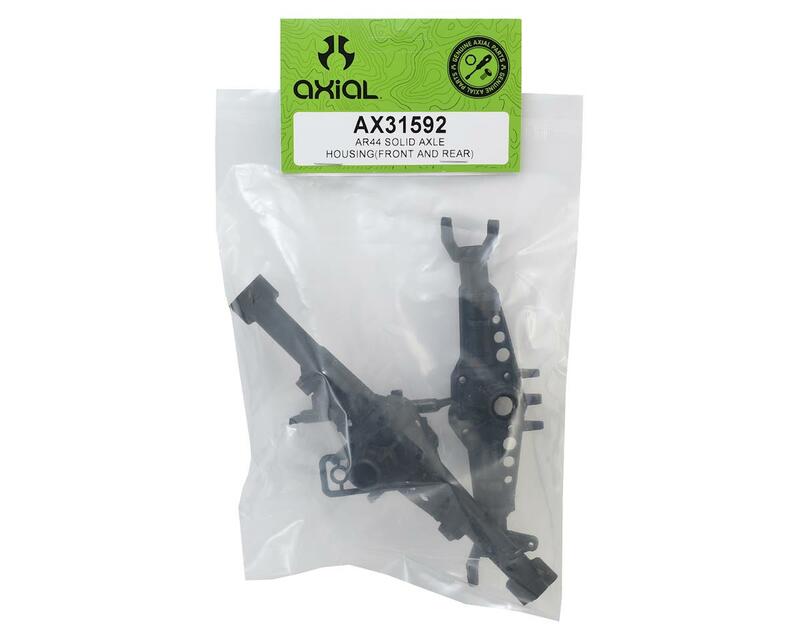 This is the updated Axial AR44 One-Piece Solid Axle Housing Set, including the Front and Rear Axle Housing. 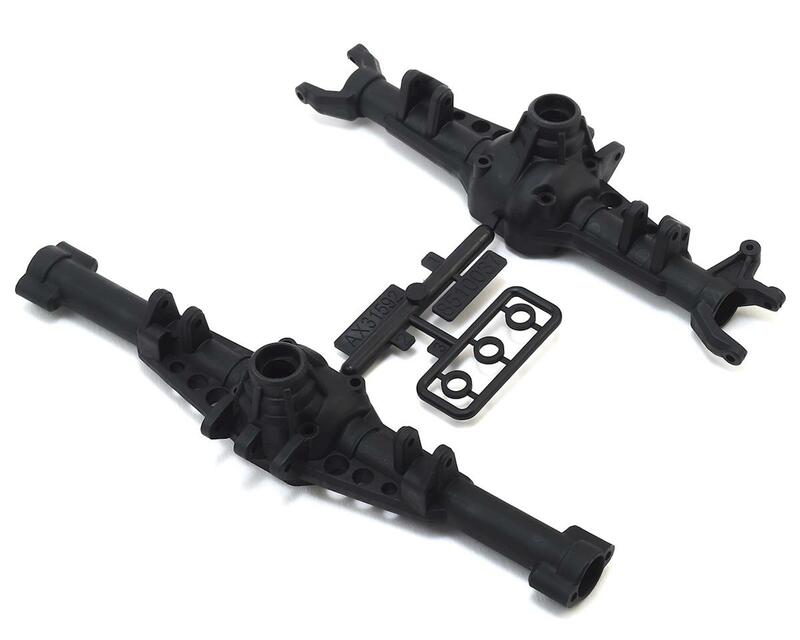 The updated AR44 front and rear axles feature a single-piece design with molded truss for extreme durability. Integrated C-hubs and lockouts offer optimized performance as well as improved ground clearance. NOTE: This package does not include axle internals; i.e., bearings, driveshafts, gears hardware or diff cover; this package includes only the plastic front and rear housings.